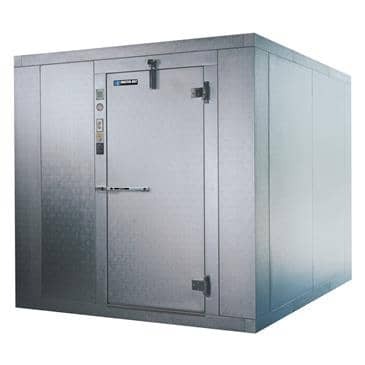 Master-Bilt 760818FX (QUICK SHIP) Cooler/Freezer Combination Walk-In 7'-9" x 17'4" x 7'-6"
You will earn 9,249 Reward Points. Earn 1 reward point for every 1 dollar spent. Master-Bilt 861016DX (QUICK SHIP) Cooler/Freezer Combination Walk-In 9'-8" x 15'-5" x 8'-6"
Master-Bilt 760814FX (QUICK SHIP) Cooler/Freezer Combination Walk-In 7'-9" x 13'-6" x 7'-6"
Master-Bilt 761020EX (QUICK SHIP) Cooler/Freezer Combination Walk-In 9'-8" x 19'-3" x 7'-6"
Master-Bilt 760820FX (QUICK SHIP) Cooler/Freezer Combination Walk-In 7'-9" x 19'-3" x 7'-6"
Master-Bilt 860612FX (QUICK SHIP) Cooler/Freezer Combination Walk-In 5'-10" x 11'-7" x 8'-6"
Master-Bilt 861014FX (QUICK SHIP) Cooler/Freezer Combination Walk-In 9'-8" x 13'-6" x 8'-6"